Only a few, small, monocentric randomized controlled trials (RCTs) have compared routine vs. no placement of a nasogastric or nasojejunal tube decompression (NG/NJT) in patients undergoing partial distal gastrectomy (PDG) for gastric cancer. However, to our knowledge, no multicenter prospective RCT has analyzed the role of decompression after both the Billroth II (BII) procedure and Roux-en-Y (RY) gastrojejunostomy. The aim of this study was to determine whether NG/NJT prevents the consequences of postoperative ileus after PDG for gastric cancer after both BII reconstruction and RY. By January 2010 to June 2012, among 270 patients undergoing PDG for gastric cancer, 134 were randomly assigned to NG/NJT placement (NG/NJT group) and 136 to no decompression (no-NG/NJT group). Time to passage of flatus was significantly shorter in the NG/NJT group than in the no-NG/NJT group, but only after RY reconstruction (3.3 ± 1.5 vs. 4.3 ± 1.6 days, P < 0.001, respectively). Postoperative abdominal distention was significantly lower in the NG/NJT group than in the no-NG/NJT group after both BII and the RY procedure (P < 0.001). No significant differences in postoperative mortality or morbidity, especially anastomotic leakage or intra-abdominal sepsis, were observed between the groups. The results of this trial were presented as the Best Free Presentation at the 10th International Gastric Cancer Congress held in Verona (Italy) on 19–22 June 2013. On Behalf of the Italian Research Group for Gastric Cancer—G.I.R.C.G. (Gruppo Italiano di Ricerca per il Cancro Gastrico). This RCT was registered at clinicaltrials.gov NCT01073046. Nasogastric or nasojejunal tube (NG/NJT) decompression has been routinely used after gastrectomy for gastric cancer to prevent consequences of postoperative ileus. Most surgeons traditionally continue to use decompression in the belief that it will reduce nausea, vomiting, aspiration, and anastomotic leakage caused by postoperative ileus, and therefore hasten bowel function and shorten the hospital stay. However, the necessity of nasogastric decompression following elective abdominal surgery has been increasingly questioned over the last several years. Many clinical studies have suggested that this practice does not provide any benefit but could increase patient discomfort and respiratory complications [1, 2, 3]. Furthermore, three recent meta-analyses concluded that nasogastric or nasojejunal decompression does not promote the recovery of gastrointestinal function or reduce the incidence of postoperative complications after gastrectomy for gastric cancer and after abdominal surgery [4, 5, 6]. After gastrectomy, nasogastric or nasojejunal decompression has been considered necessary to prevent the consequences of postoperative ileus (nausea, vomiting, abdominal distension, and anastomotic leakage or leaking from the duodenal stump). For this reason, the nasogastric tube is usually left in place for a few days after the procedure. Few studies have actually assessed this common practice. However, to our knowledge, no large-size, multicentric RCT is available concerning only PDG and the type of reconstruction. The aim of this study, therefore, was to evaluate, in a prospective, multicenter, large-size, randomized trial, the necessity of an NG/NJT after PDG also according to the type of reconstruction. The protocol of the study was approved by the ethics committees of the participating centers. Informed consent was obtained from the patients before entering the study. We registered our trial in the database of the US National Institutes of Health (http://www.clinicaltrials.gov: NCT 010 73046). All patients between the ages of 18 and 80 years who were admitted to ten surgical units of the participating centers from 1 January 2010 to 30 June 2012 and who were candidates to undergo PDG for carcinoma of the stomach were potentially eligible for the study. Nine patients who underwent only explorative laparotomy (3 patients), total gastrectomy (4 patients), or bypass procedures (2 patients) were excluded from the study (Fig. 1). At the end of the demolitive procedure, the patients who entered the study were assigned to placement of an NG/NJT (NG/NJT group) or not (no-NG/NJT group) by a computer-generated random number pattern in a central registry for the study at the Catholic University of Rome, conducted by a research physician. The patients in the NG/NJT group underwent placement of a 12- to 14-F single-lumen tube. The continuity of the alimentary tract was restored with either an end-to-side BII gastrojejunostomy or a Roux-en-Y gastrojejunostomy at the surgeon’s discretion as it was the extension of a lymphadenectomy. All patients received short-term perioperative antibiotic prophylaxis and a subcutaneous injection of low-molecular-weight heparin sodium as deep venous thrombosis prophylaxis according to each hospital's protocol. During the postoperative course, all patients received parenteral fluid administration until oral intake was resumed. No patients in the NG/NJT group received postoperative enteral nutrition. Routine radiographic examination using water-soluble contrast material was performed on the fourth postoperative day, and, in the absence of anastomotic leak, a liquid diet was started. If oral intake was not resumed after 7 days or if a complication occurred portending prolonged restriction of oral intake, enteral nutrition or total parenteral nutrition could be instituted by the surgeons of the participating centers according to the availability of access and the type of complication. The NG/NJT was inserted or reinserted when clinically indicated. Demographic data, pathological variables, operative factors, preoperative risk factors, and associated pathologic conditions were recorded. The patients were monitored for postoperative complications, mortality, and postoperative course by physicians not associated with the surgical teams. The postoperative days when the first passage of flatus was observed and when a liquid diet was permitted were recorded, as well as the postoperative length of hospital stay. Also recorded were postoperative pain, subjectively expressed by patients on the third and sixth postoperative days according to a visual analog scale from 0 (no pain) to 10 (worst imaginable pain), and postoperative abdominal distention (measured at the umbilical level on the third postoperative day) compared with the preoperative value. The primary objective for comparison was the incidence of postoperative complications. We anticipated a 20 % incidence of postoperative complications in the no-NG/NJT group. A reduction of this rate by half (to 10 %) in the NG-J tube group would be considered clinically important. Detecting a difference of this magnitude or greater, with a level of statistical significance (P < 0.05) and a power of 80 % with a two-tailed test of proportions, would require 126 patients in each group. Therefore, the goal for the accrual of patients would be 252 patients for the final outcome analysis. Continuous variables were compared by analysis of variance and categorical variables by Fisher's exact test. Analysis of categorical covariates was performed using the Mantel–Haenszel technique. All statistical analyses were two-tailed and based on the intention-to-treat concept (i.e., patients randomized for placement of an NG/NJT in whom a dislocation of the tube occurred postoperatively were analyzed in the NG/NJT group). During the 30-month patient accrual, 270 patients recruited at ten hospital surgical departments who underwent PDG for gastric cancer were randomly assigned to placement of an NG/NJT (n = 134) or not (n = 136). The groups were similar regarding demographic data, tumor location, and American Joint Committee on Cancer/Union Internationale Contre le Cancer TNM stage (seventh edition), as presented in Table 1. All patients in the two groups underwent PDG for gastric cancer, and the main operative factors are listed in Table 2. The operative factors were similar between the groups without statistically significant differences. The rates of individual complications are presented in Table 3. The rates of complications were similar in the two groups (28.3 vs. 26.5 %, P = n) and in the type of reconstruction (29.5 vs. 25.4 %, P = n in BII patients and 26.9 vs. 27.4 %, P = n in RY patients). The complications related to placement of an NJT were tube dislocation (20 cases), tube obstruction (13 cases), digestive bleeding (3 cases), rhinopharyngitis (4 cases), nasal mucosa necrosis (2 cases), and conspicuous (>250 ml/day) intestinal fluid loss (7 cases). Eighteen patients in the no-NG/NJT group (10 after BII and 8 after RY) required insertion of an NJT in the postoperative course because of recurrent episodes of vomiting, with resolution of the symptom. All patients in the no-NG/NJT group with gastrojejunostomy leak underwent placement of an NJT after the diagnosis of the complication. The postoperative course of patients with gastrojejunostomy leak was similar in both groups, with one death in each group and complete resolution of the complication in the other case. Two patients in the no-NG/NJT group died: one because of a massive pulmonary embolism and one because of septic shock related to a duodenal stump leak. The postoperative courses of patients are presented in Table 4. Time to passage of flatus was significantly shorter in the NG/NJT group than in the no-NG/NJT group, but only after RY reconstruction (3.3 ± 1.5 vs. 4.3 ± 1.6 days, P < 0.001, respectively). Postoperative abdominal distention was significantly lower in the NG/NJT group than in the no-NG/NJT group after both BII and the RY procedure (P < 0.001), but this did not result in either lower morbidity or lower mortality. Routine decompression after gastrectomy has been considered to differ from decompression for other abdominal reasons. The proximal anastomoses (oesophagojejunal, gastrojejunal, or gastroduodenal) and the duodenal stump pose a potential risk for early postoperative fistula formation. In addition, most radical gastrectomies with lymph node dissection (especially D2 and D3) are extensive destructive procedures, which may affect gut motility after the operation . For these reasons, nasogastric or nasojejunal decompression is still a routine part of perioperative care after radical gastrectomy in many centers. Five prospective studies from Taiwan [8, 9], Korea [10, 11] and France  have suggested that there is no need for decompression of the gastric remnant after PDG for gastric cancer. Only one Italian multicenter prospective study has been performed to assess the use of a nasojejunal tube after total gastrectomy . The authors have not reported any differences between the two groups, with or without nasojejunal postoperative decompression, concerning the mortality, morbidity, and postoperative course . Excluding the article by Doglietto et al. in which all patients were treated with total gastrectomy with the same type of reconstruction (RY), the majority of these studies were monocentric, small, and enrolled gastric cancer and benign disease patients undergoing a variety of operations, such as total and partial gastrectomy, together. To the best of our knowledge, the present study is the only multicentric, large-size RCT in the literature focusing on decompression after PDG for gastric cancer considering both BII and RY reconstruction. Chen et al. supported only abandoning NG decompression in patients undergoing subtotal gastrectomy with RY gastrojejunostomy, but their study had several limitations: the retrospective nature and the comparison of BII and RY within different time periods; the comparison between the nasal decompression group and non-decompression group in the latter phase was not randomized. Our multicentric RCT clearly demonstrated that routine use of NG/NJT did not decrease the rates of postoperative morbidity and mortality compared with the no-NG/NJT group after both BII and RY reconstruction, even if the type of reconstruction was not randomized. Moreover, a nasogastric tube itself may induce vomiting and is associated with several complications (more than 20 % in our study), such as nasopharyngeal soreness, otitis, sinusitis, oesophagitis, digestive bleeding, and intestinal fluid loss [15, 16]. In addition, the discomfort caused by a nasogastric tube is one of the most unpleasant aspects of the postoperative course . Considering the shorter hospital stay as well as reduced requirements for nursing and pharmaceutical services, omission of a nasogastric tube is a cost-effective treatment for patients with gastric cancer. Although the time to passage of flatus was shorter in the NG group (P = 0.016), the time to starting a liquid diet was shorter in the no-NG group. This could be considered a paradoxical difference; actually patients in the NG group had a shorter passage of flatus but not a shorter time to starting a liquid diet because in many cases (20.9 % according to our data) they had NG/NJT-related complications and were forced to maintain decompression, even if passage of flatus was manifested. In spite of everything, time to passage of flatus was significantly shorter between the two groups only after RY reconstruction and did not result in a shorter time to starting an oral diet. Moreover, according to some pathophysiologic studies , decompression may not prevent but actually facilitates postoperative ileus. This may be due to interruption of normal gastrointestinal reflexes triggered by orogastric secretions. Ileus does, of course, have several contributing factors, including autonomic nervous system dysfunction, inflammatory response, anaesthetic and opioid administration, and gastrointestinal hormone disruption . Moreover, in our trial, we demonstrated that the time to starting an oral diet was slightly shorter in the group without decompression (P = 0.013), but the length of hospital stay, morbidity and mortality did not differ significantly between the two groups. Only postoperative abdominal distention was significantly different between the two groups. These results may be attributed to the fact that other enhanced recovery procedures (early oral feeding, standardized postoperative pain control, early mobilization, etc.) were not contemplated in the no-NG/NJT group. Regarding routine postoperative feeding, Suehiro et al. and Hur et al. described that early oral feeding (within 48 h after operation) in patients undergoing gastrectomy does not reduce postoperative complications. Early feeding, however, reduces the postoperative time to flatus and length of hospital stay compared with traditional feeding after passage of flatus. The main limitations of these studies were the small sample of patients and the monocentric nature. 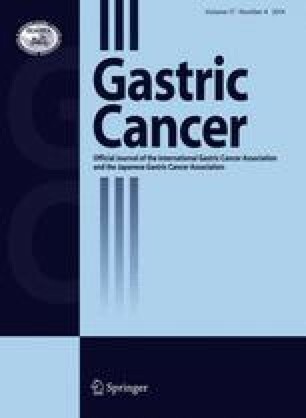 In conclusion, according to our trial, there is no evidence that nasogastric or nasojejunal decompression is associated with earlier recovery of bowel function, shorter hospital stay, or reduced postoperative complications after PDG for gastric cancer with both BII and RY reconstruction. Routine decompression seems unnecessary independently from reconstruction. Patients undergoing gastrectomy may avoid prophylactic tube placement, which should be used only when symptoms develop. In this era of cost containment, this approach may also represent a cost-effective strategy. By not placing nasogastric tubes routinely, each hospital may realize significant savings, not only of the cost of the tube and its management, but also because of the shortened hospital stay. The next step toward simplifying the postoperative course after gastrectomy could be early postoperative feeding; large randomized multicentric controlled trials are required to assess this possibility. Claudio Ricci, MD (General Surgery, University of Bologna, Italy); Michele Genna, MD (General Surgery, “Borgo Trento” Hospital, Verona, Italy); Antonella Ardito, MD [Division of Surgical Oncology, IRCCS Istituto Clinico Humanitas, Rozzano (MI), Italy]; Francesco Ricci, MD [General Surgery, Rovereto Hospital (TN), Italy]; Giorgio Maria Verdecchia, MD (Department of Surgery and Advanced Cancer Therapies, Morgagni-Pierantoni Hospital, Forlì, Italy); Mariantonietta Di Cosmo, MD (1st Division of Surgery, University of Verona, Italy); Alberto di Leo, MD [General Surgery, Arco Hospital (TN), Italy]; Giovanni Vittimberga, MD (Division of Surgery, “G.B. Morgagni, L. Pierantoni” Hospital, Forlì, Italy).